Well, this is interesting - Toy Story 4 has undergone some pretty big changes (to say the least). 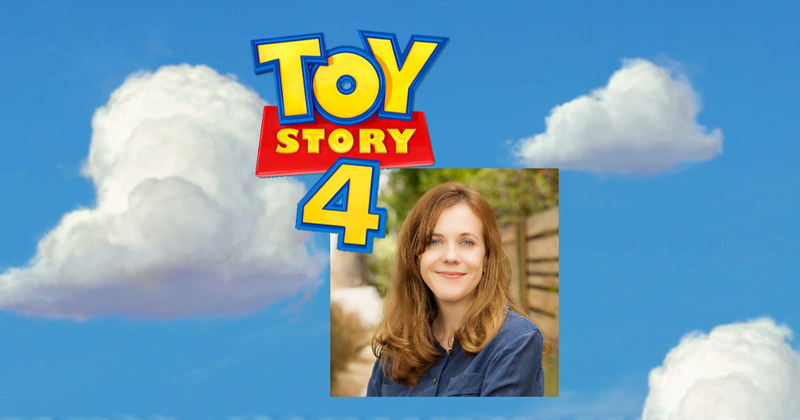 But, as of this evening, Deadline is stating that Pixar has brought on Stephany Folsom as the assigned writer for the project. We're working up a post to see what else we may be able to dig up. What are your thoughts? Good/Bad/Indifferent? Our post with some of our additional thoughts can be found in this post. I still don't know how to feel about the project. John Lassetter claimed when they first started production that they only do sequels if they have an idea as good or better. But it sounds like not even Pixar knows what the film is going to be. I'm indifferent as of know, I'd rather not have a TS4, cause it seems to me from the outside that they really aren't confident themselves in this. Also, was she just assigned as writer? Isn't the movie due in a year and a half, shouldn't the script have been done long ago? Agreed on all accounts, but they still have Bo Peep as the focus which they stated will not be changed, in fact adding in Stephany Folsom as one of the new writers helps them (she's been on the writing staff for a while now (and I believe she was hired the exact moment they canned Rashida Jones and Will McCormack) and they wanted to wait to reveal her). I think the sequel's in safe hands, but only time will tell at this point. Well this is for sure a very interesting process to follow. As for me, I have no real interest in seeing Toy Story continue with feature films. However since I did see a early first look of Woody & Bo Peep in their renders from 2015 D23 (their renders, especially Boo's looked great) But I feel it's a very un-necessary sequel to be honest. So this could probably mean the story is getting revamped and so Tom Hanks and the rest will haft to re-record for the new lines maybe this year. Outside of TS4 I'm more excited for those two un-named feature films for 2020. Meanwhile they work on their upcoming films I would really like them making some more tv specials. It's much more easy for Pixar to re-use their models from post-TS3. And I really would like to see maybe a short for the Finding Dory characters. That I would like to see more than actual sequels for that I feel Ratatouille, Wall-e, Up, Brave, The Good Dinosaur & Coco doesn't need a sequel. But seeing those characters again on a little special would be something nice. I don't know. I just can't see this much indecision, crew-swapping and development hell having a lot of positive impact on the film. Related to a new screenwriter, Annie Potts (voice of Bo Peep in Toy Story’s 1, 2 & 4) said that they scrapped 3/4 of the script following Jones and McCormack’s departure and Pixar has been taking their time. "[Toy Story 4] was supposed to come out this year and then they threw out three-quarters of it and rewrote. Usually, it takes, from start to finish, two years. But because they threw most of it in the bin and started over [my time on the project has] been extended a little bit. I've done a lot of work on it." "They're funny those Pixar people. They just take their time. It's very painstaking work. If they don't like whole sections then they just chuck it and start over again. They have that great creative liberty to do that." In another part part of the article, she said that they knew TS4 would happen before 3 was out because John Lasseter told her they were saving her role for this film. So they knew before they released Toy Story 3 that they were going to make an entire movie dedicated to backpedaling on its message? I guess I shouldn't be shocked; Lasseter's pet series went from espousing the virtues of small towns and not rushing to get places before the sequel became an action movie featuring solely huge, recognizable cities, but that wasn't a PLANNED sequel.